Epiphan Pearl-2™ is the easiest way to do live streaming, switching and recording. Pearl-2 works with video sources from SD to 4K (Upgradeable). Connect up to six sources at once to encode and stream one 4K Ultra HD program or up to six 1080p Full HD programs. Use any combination of your video sources connected to the HDMI, 4K HDMI or 12G SDI video input ports, or from IP cameras over your network. Harness the power of Pearl-2’s 6th generation Intel i7 processor to capture stunning video at 30 fps. Pearl-2’s hardware-accelerated encoder provides flawless H.264 encoding for maximum compatibility and performance with any video portal or player. Use the touch screen or Epiphan Live to preview and change the live content in your video programs. 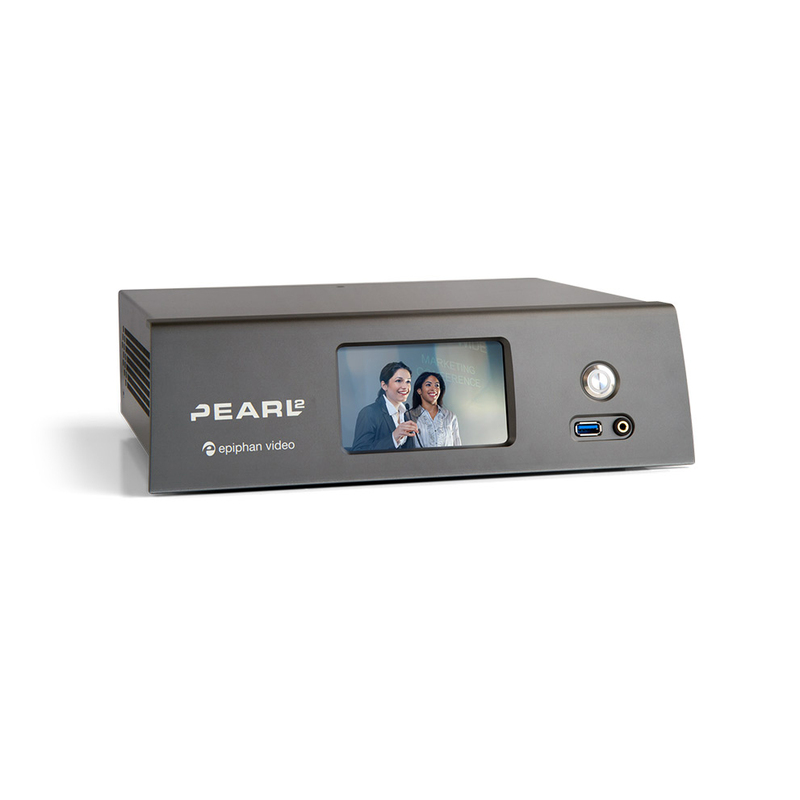 See changes immediately in your live video stream and on displays connected to Pearl-2’s HDMI video output ports.